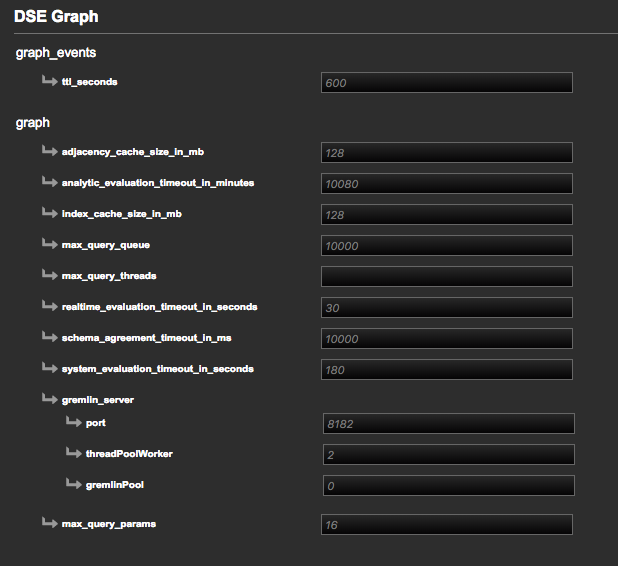 Optional: Configuration options are available in the DSE Graph section of dse.yaml in a Lifecycle Manager Config Profile. Override the defaults if necessary. 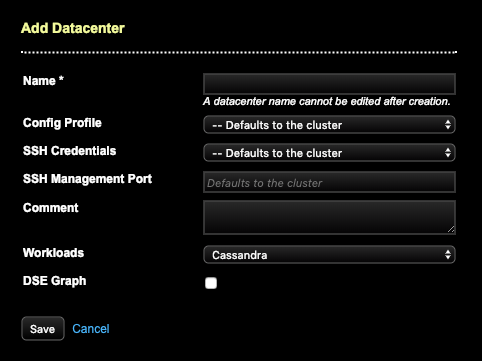 For more information about configuration options, see /en/dse/6.0/dse-admin/datastax_enterprise/graph/config/configGraphOverview.html#configGeneralGraphSettings__dseYamlOptions.